Most of the attention in the boxing world this week will be on Anthony Joshua’s clash with Joseph Parker. That is understandable. Joshua and Parker are both undefeated, heavyweight belt holders, still in their 20s. It doesn’t get much better than this. 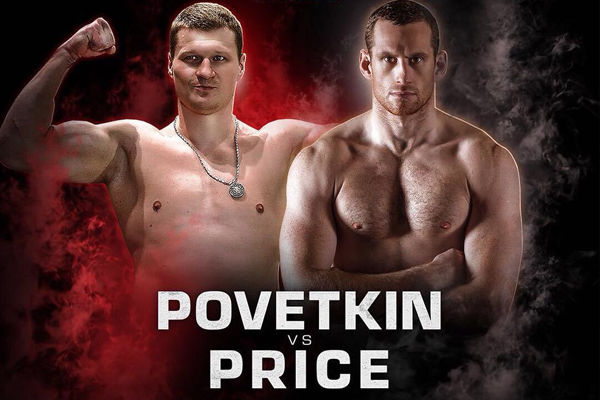 But do not overlook the primary undercard tilt: Alexander Povetkin vs. David Price. Now 38, Povetkin is quite likely past his prime. Regardless, he is still one of the top heavyweight boxers on the planet, and behind the Klitschko brothers, the best heavyweight of this century so far. Povetkin’s only loss in 34 fights came against Wladimir Klitschko in October 2013. It was a one-sided unanimous decision but Klitschko got away with an absurd amount of clinching, which allowed him to exploit his height advantage. If referee Luis Pabon had properly enforced the rules that might have been an entirely different fight. Since that loss Povetkin has won seven straight fights, putting together the best overall resume in the division over the past four years. He’s knocked out contenders like Carlos Takam, Mike Perez, Mariusz Wach and Johann Duhaupas. Last December he easily decisioned Christian Hammer. Povetkin has hurt his own career by failing PED tests in recent years–it caused him to lose a major fight with Deontay Wilder last year. Still, at this point, the Russian still has to be taken into account when discussing the top of the division. Price should not represent a huge challenge for him. At 6’8″, Price is a true giant, but he has never developed into the star British fans hoped he might become. He was paired too soon against veteran Tony Thompson in 2013 and got knocked out by him in back-to-back fights. He has had two tries since at real contenders, coming up short both time. In 2015, Erkan Teper knocked him out in Round 2 and Hammer stopped him in Round 7 last year.